Carrie Peyton Dahlberg SeaQuake: A nicer word than "tsunami." We're stronger together. Families know it, unions know it and, in Crescent City, the brewers swear by it. After swiftly raising their local brewery count from zero to two, Crescent City's fledgling breweries sometimes turn to each other to borrow ingredients. "We're totally cooperative," says Ryan Wakefield, co-owner of SeaQuake Brewing. "Together we're stronger than we would be on our own." 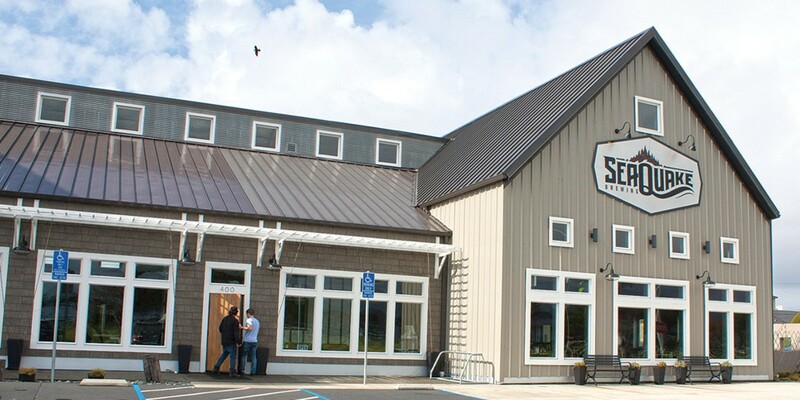 Together, these two breweries also provide twice the reason for an easy getaway from Humboldt, a not-too-far, not-too-long road trip with a tasty incentive for dawdling. Coming from the south, you'll reach SeaQuake first, after a short turn off U.S. Highway 101 on Front Street, into a neighborhood that looks like it's been dreaming of a tourism renaissance for ages but hasn't quite gotten there. The brewery faces the green, open swath of the city's Beachfront Park and the glimpse of white waves beyond. Long ago, says Wakefield, an early Crescent City brewery stood nearby, leaving its clay, marble-capped beer bottles behind in empty lots that turned into de facto playgrounds. Since then, renewal efforts have jostled with light industry and homeless encampments. A brewery and a bar and grill both tried the spot but didn't make it. Now three Wakefield brothers and one of their fathers-in-law are trying again, establishing SeaQuake — so named "because tsunami sounded kind of, you know, devastating," Ryan says — last summer after helping to restore the building bought by relatives and family friends. They're not quitting their day jobs; Ryan is a firefighter and his brothers are an accountant and an IT specialist. "We just want to continue to make really good beer and create an atmosphere we feel Crescent City deserves," Ryan says. Inside, SeaQuake is long on atmosphere with a sleek two-story-plus fireplace, wall plaques illustrating types of waves and a view of the brewing space from the hand-poured concrete bar. Flights let customers pick six of 12 beers on tap to sample in 5 ½-ounce pours, instead of foisting off a fixed sampler list on everyone. Nice. I especially liked the chocolate porter, which was rich and bready without being cloying, and the India Pale Ale, a clean, straight-ahead IPA. If you get back on U.S. Highway 101 from SeaQuake and keep heading north, you'll find Port O'Pints down a commercial stretch of Northcrest Drive, which intersects the highway not far from the Home Depot. Like SeaQuake, Port O'Pints is a family business, founded by Rick and Carol White, who moved to Crescent City in 2014 after falling in love with the region during visits with their son, then a wildlands firefighter. Rick had been a production brewer for Great Basin Brewery in Reno, Nevada, and Carol was a school principal. Quitting their day jobs, they and their son plunged headlong into creating what was, when they opened in November of 2015, Crescent City's only local brewery. The sign outside Port O'Pints proclaims it is an Irish pub. In brewing style and vibe, the place follows through. It's dark and cozy — as comforting as a woodstove on a rainy night — with glass mugs hanging above the bar. The 14 taps can barely keep up with Rick White's brewing enthusiasm, especially for European-style beers, including a cream ale named the Agate and a crisp Del Norter Porter that's become a local favorite. Port O'Pints began without food, drawing crowds instead with events and gatherings. It hosts the local homebrewers club and gives discounts to members of the American Homebrewers Association. (Discounts also to anyone who rides there on a bicycle and to veterans, too.) There's also a monthly picking party, with crowd-sourced string music, and painting nights led by a local artist. On the night we visited, Port O'Pints was overflowing with the loud, steady hum of a brewery that has swiftly outgrown its beginnings. Now it's expanding into the space next door with plans to serve salads, sandwiches and appetizers, and pour from 26 taps by the end of May. Rick says he'll probably offer 20 of his own beers plus his root beer, leaving some taps for cider and guest beers. "I want to grow our local beer culture," White says, by introducing people to different styles and keeping growler prices low to encourage everyone to take home fresh beer. The Whites figured the arrival of SeaQuake last year just meant more craft beer education for everyone. Both breweries have begun distribution in Humboldt, showing up at festivals, tap takeovers and on draft in some bars and restaurants. But you'll have more fun sampling them where they're made, alongside other beers from the same brewer. 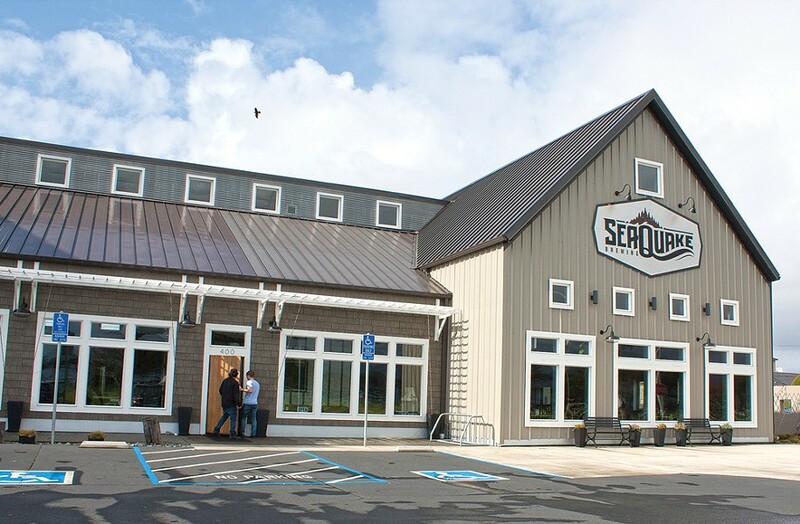 If a trip north is on your agenda this month, think about hitting SeaQuake when you're hungry. The restaurant features pizza with cheese from nearby Rumiano Cheese Co., along a few less typical offerings like lettuce wraps and fried Rumiano cheese curds. You'll also find a kiddie play area and outdoor seating if it's warm enough. If you're musically inclined, think about timing your visit to Port O'Pints for its Sunday afternoon picking parties. The next two are coming up on May 14 and June 11. And remember, it's a long way but a Port O'Pints discount awaits if you ride your bike. Saturday, May 6 – A three-in-one beer day. Bring your own brewing rig and ingredients to join fellow brewers for Big Brew Day, starting around 10 a.m. at Humboldt Beer Works, then swing by The Siren's Song Tavern at 3 p.m. for a SeaQuake Tap Takeover, and finally drop a few charitable dollars at Brew at the Zoo, where 15 breweries will be pouring from 4 to 8 p.m. to benefit the Sequoia Park Zoo Foundation. Tickets $35-$40 in advance, $45 at the door. Friday, May 12 – Music, dancing, lawn games and beer tasting are featured at Lost Coast Brewery's Kinetic Brew Bash from 4 to 8 p.m. at the brewery. A dollar from every pint goes to the Kinetic Sculpture Museum. Saturday, May 13 – If you've been curious about The Booth, the South Korean brewers who've set up shop in Humboldt, check out their "Booth Warming" open house and Kukmin Hop Ale beer release from 1 to 4 p.m. at their brewery, 123 West Third St., Eureka. Wednesday, May 17 – Alchemy Distillery joins Six Rivers Brewery for a food, beer and spirits pairing evening, led by Six Rivers' Meredith Maier and Alchemy's Amy Bohner, starting at 6 p.m. $30. Thursday, May 18 – Food and beer team up again, this time from 6 to 9 p.m. at HumBrews, with six Humboldt County breweries featured in a buffet supper beer pairing, for a Humboldt-centric nod to Craft Beer Week. $30 advance, $40 at the door. Saturday, May 20 – Capping a week of pairings, look for Beer, Brunch and Bootcamp, a team effort by Fit Nor Cal and Six Rivers Brewery to benefit the Arcata Fire Department's drive for a thermal imaging camera. Your workout begins in the brewhouse at 10 a.m. sharp, followed by brunch and beer. $30. Wednesday, May 24 – Lift a glass for a laureate as Mad River Brewing Co. celebrates Bob Dylan's birthday with local musical tributes starting at 5:30 p.m.
Friday, May 26 – Get in the spirit of summer camping with Sierra Nevada's "Beer Camp Across the Word" collaboration brews, team Sierra Nevada with six domestic brewers and six international ones. The full dozen goes on tap for Memorial Day weekend, starting Friday afternoon at HumBrews. Thursday, June 1 – If you're thinking about trying brewing at home or you want to push your homebrew to a higher level, stop for questions, answers and advice during the monthly Humboldt Homebrewers club meeting from 7 to 9 p.m. at Humboldt Beer Works. Do you know a spot that's really upped its beer menu lately? Let Carrie Peyton Dahlberg know at beerstainednotebook@gmail.com.